The condition occurs when the valves in the blood vessels become weak and cannot push the blood back toward the heart. Spider veins are often confused with varicose veins, which are larger, swollen veins filled with pooled blood. Spider veins can be considered a milder version of varicose veins. Diagrammatic representation of spider veins. Both spider veins and varicose veins can develop on any part of the body, but they commonly occur on the legs or the face. While spider veins generally do not cause any major discomfort, they can be a cosmetic concern for many people. Heredity - the condition is usually passed on through genes. Age - individuals above 50 years of age are more susceptible, as the valves in the veins become weak over time. Hormonal changes due to pregnancy, menstruation, menopause, hormone replacement therapy or taking birth control pills. Standing or sitting for long hours. Exposure to the sun can cause spider veins on the face in people who have light-colored skin. Wearing tight garments that put pressure on the abdomen. Any trauma or injury to the skin. Congested liver - sometimes impaired detoxification and liver stress put extra stress on the veins. Tiredness or heaviness in the legs, especially after sitting or standing for long hours. Sometimes skin ulcers near the veins. Do not sit or stand in one position for too long. Walk or jog regularly to promote blood circulation in the legs and also strengthen your leg muscles. Don’t wear high heels too often. Elevate your legs for 30 minutes several times a day. If you are light-skinned, always wear sunscreen when out in the sun. Do not drink too much alcohol, as it can dilate your veins over time. In addition to taking preventive measures to curb the problem, a few home treatments can help you get rid of spider veins. Read on to learn six home remedies to get rid of spider veins. Apple cider vinegar is considered the most effective remedy to treat spider veins. (1) Being anti-inflammatory in nature, regular application of apple cider vinegar helps bring down the swelling. Massaging it on the veins also increases the blood circulation and alleviates pain and discomfort. Note: Use only raw, unprocessed apple cider vinegar for this remedy. Also, undiluted vinegar can cause burning on the skin. It is best to do a patch test first and only proceed with the remedy if it doesn’t cause irritation. Use a cotton ball to apply apple cider vinegar on the spider veins. Let it soak into the skin for 15 to 20 minutes. 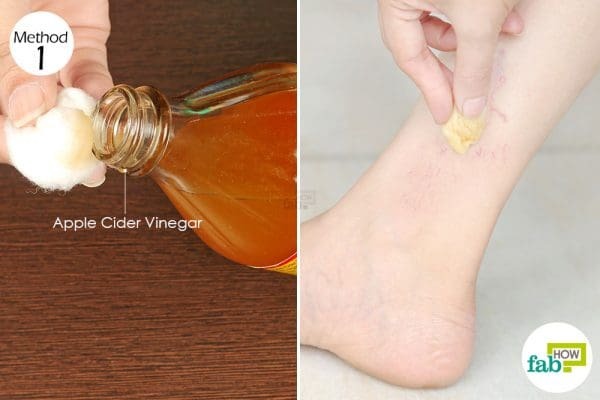 Apply apple cider vinegar on the veins 2 times every day. You may notice some visible change after the first 2 weeks. Continue using it to get rid of spider veins completely in 1 month. To increase the potency of the remedy, you can also mix 1 teaspoon each of apple cider vinegar and honey into 1 cup of water. Drink this before meals twice every day. Massaging the affected area regularly is also a popular way to reduce spider veins. Massaging helps improve blood circulation in the area, thus reducing pain and swelling. 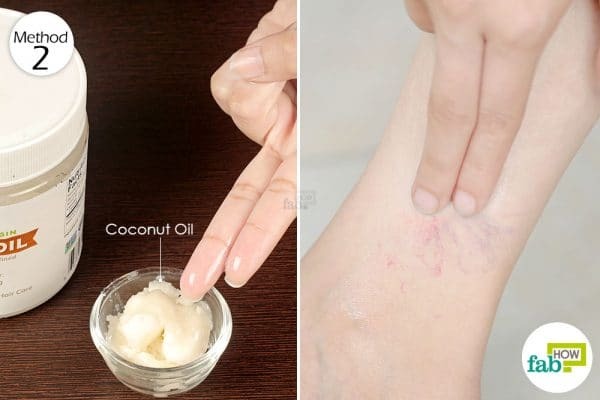 Use either extra-virgin coconut oil or olive oil, as they are rich in antioxidants that can heal the blood capillaries and also have anti-inflammatory properties. Lie down on a flat surface and place a pillow under your legs to raise them slightly. Warm up some extra-virgin coconut or olive oil and apply it over the veins. Using light strokes, massage the area for 10 minutes. Start from the foot, massaging the veins in an upward direction to promote blood flow toward the heart. Repeat the process 3 or 4 times every day to treat spider veins in 4 to 6 weeks. 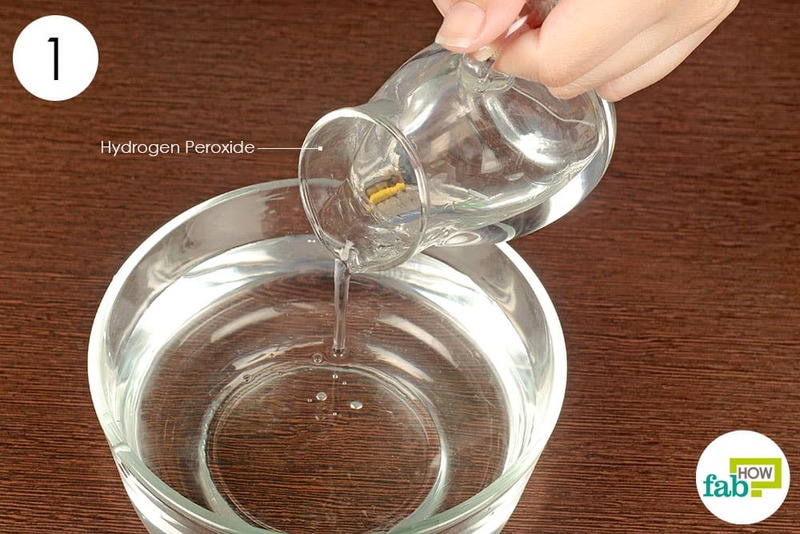 Food-grade hydrogen peroxide is a popular folk remedy for spider veins. It helps reduce inflammation and also draws out the toxins that may be causing the spider veins. Hydrogen peroxide also increases blood oxygen levels and improves blood circulation. Dilute hydrogen peroxide with water. 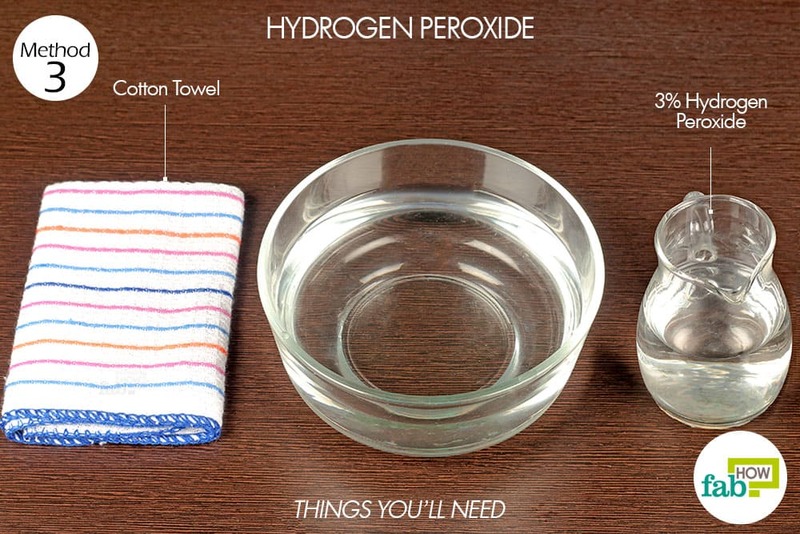 Add ½ cup of 3% hydrogen peroxide to 2 cups of water. Soak a cotton towel in the solution and squeeze out the excess liquid. Place the soaked towel over the affected area for 20 minutes. Use this remedy once every day to treat spider veins in 4 to 6 weeks, depending on the severity of the condition. The tannins present in witch hazel act as astringents, tightening the distended spider veins and restoring them to normal. It also helps reduce the pain and swelling in the affected area. Apply witch hazel on the spider veins 2 to 3 times a day. Pour some witch hazel on a cotton ball. Apply it on the affected area and let it dry completely. You need not to rinse it off. 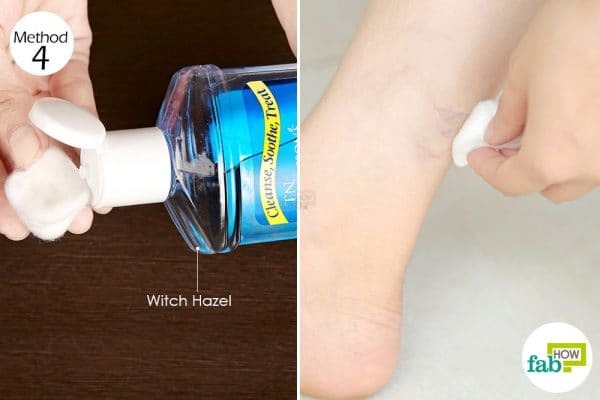 Apply witch hazel on spider veins 2 or 3 times every day. You may get temporary relief after the first few uses, but it will take 6 to 8 weeks for the spider veins to disappear completely. 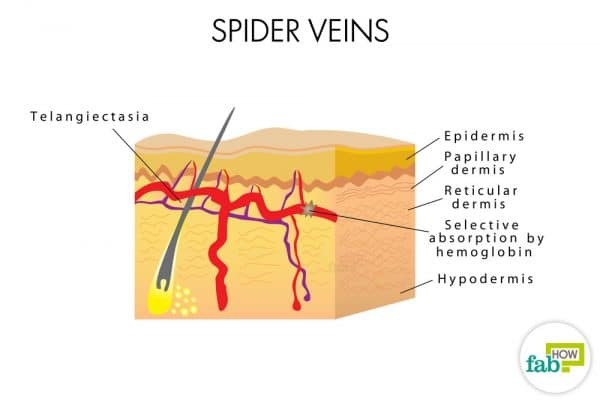 Massaging the veins with essential oils can also bring relief from spider veins. The oils have anti-inflammatory and analgesic properties that significantly reduce the pain and discomfort. 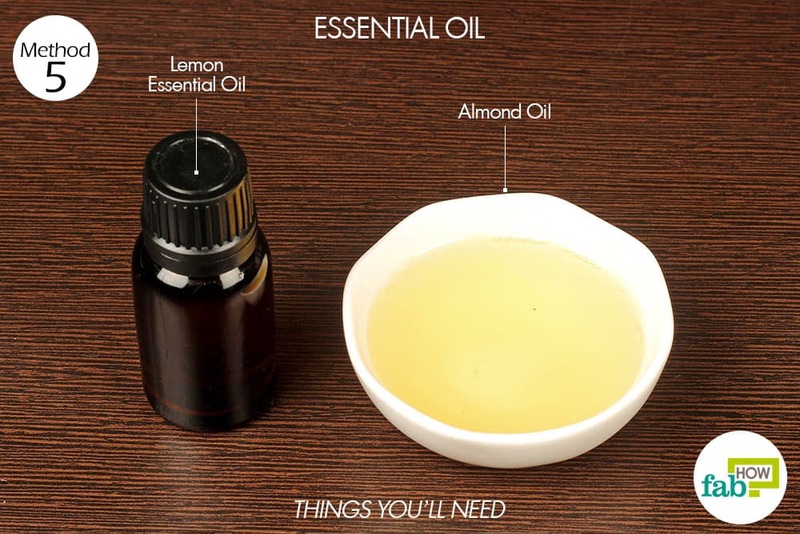 Also, massaging with essential oils increases the blood circulation in the affected veins. Lemon oil, in particular, has vessel-strengthening properties. Add 2 or 3 drops of lemon essential oil to 1 tablespoon of almond oil. Massage the veins with the oil, applying very gentle pressure. Make sure to rub in the direction of the heart. 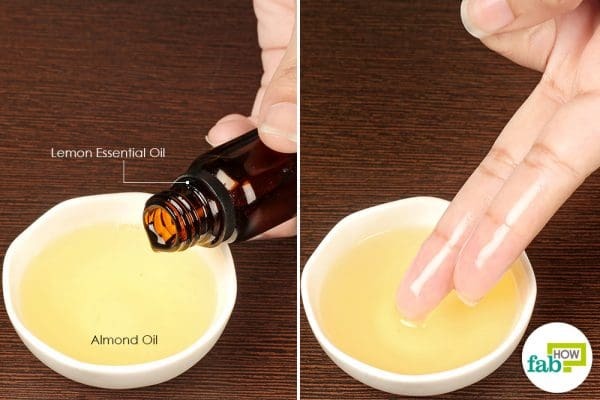 Use this remedy 2 or 3 times a day to see a visible change after 1 month. Continue for the next 2 to 3 months to get rid of spider veins completely. 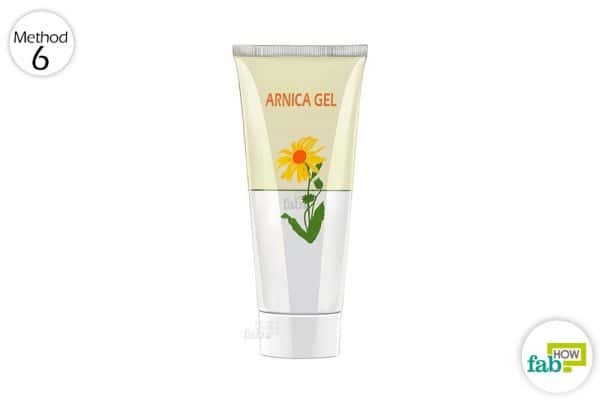 Arnica gel is derived from the plant Arnica Montana. It is used primarily as a topical anti-inflammatory treatment for bruises and wounds as well as joint and muscle pain. It also increases blood circulation to the area, which is helpful to get rid of spider veins. Apply arnica gel twice daily to get rid of spider veins. Apply the gel on the veins and let your skin absorb it completely. Apply it twice every day for 2 months or until the spider veins disappear. Sleep on your back with your legs elevated to reduce blood retention in the legs. Keep your body hydrated by drinking plenty of water and juices. A hydrated body will prevent constipation, which otherwise can put pressure on the veins. To reduce spider veins on your face, sleep on your back with your head slightly elevated with soft pillows. Atik D, Atik C, Karatepe C. The Effect of External Apple Vinegar Application on ... Evidence-Based Complementary and Alternative Medicine. 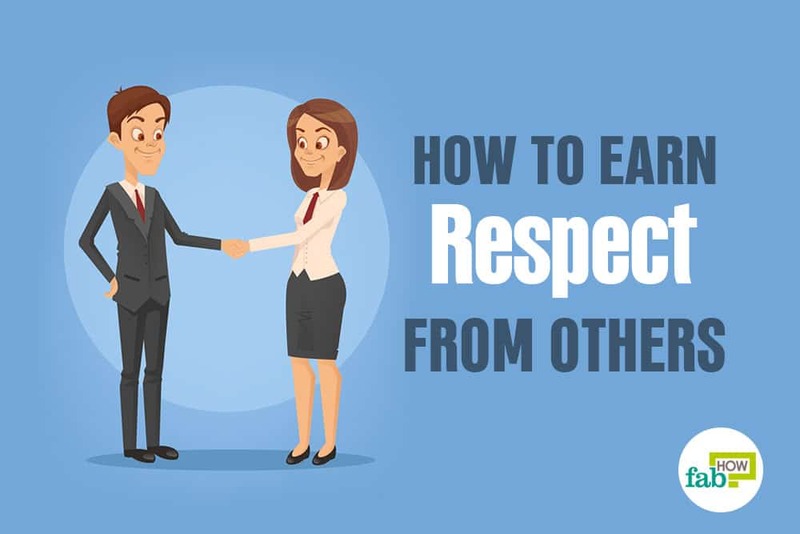 https://www.ncbi.nlm.nih.gov/pmc/articles/PMC4735895/. Published January 3, 2016. Wow what an incredible content, I will recommend. do you allow the apple cider vinegar to dry before washing it off, or do you leave a soaking cotton ball application on for the 20 minutes? 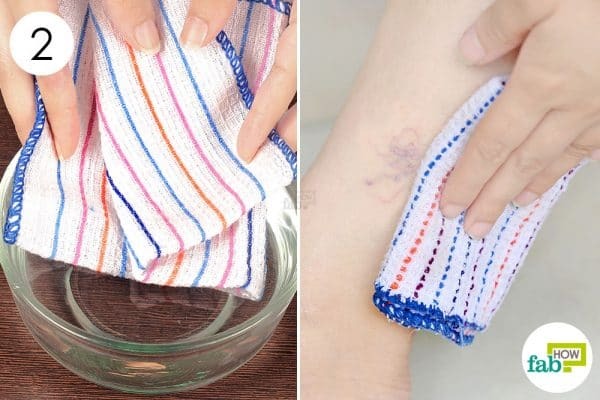 You can apply apple cider vinegar soaked cotton balls on the affected area, leave it on 15-20 minutes and then wash it off with plain water. thanks for the reply! just to be clear, are you leaving the soaked cotton ball on for 15-20 minutes? Or you just use it to rub the vinegar on?